What do you really need to get by in life? We’re talking about the physical things like furniture that make for a comfortable living environment. Beyond the kitchen (because we all need one of those!) the basics are a bathroom, a bedroom and a living room. That would be just for you. Now multiple that by the members of your house and you’ve got the need for more bedrooms and more bathrooms. Perfect. But what happens when those “extra” family members go off to start their own lives? Suddenly having all those extra rooms doesn’t seem very practical. You’ve still got to keep them clean. When you heat the home it all gets heated. And then there is all the annoying yard work. This is why you might want to seize upon the idea of downsizing by moving out of that big empty house and into a smaller place. 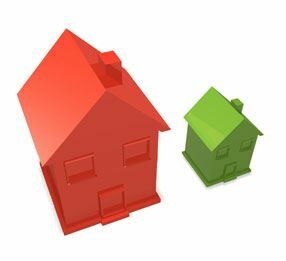 If you make this choice, you’ll be joining thousands of other San Antonio residents who have already embraced the idea of downsizing as a better way to live. If you do make the move, you need to have a strong sense of your new living environment. This will help you decide which pieces of furniture you want to hang onto and which pieces should be given away or tossed away. One of the first things to go is often that big dining room table and chairs. Do you really eat in the dining room or in your kitchen? Sure, for holidays you would bust out the good china and serve in the dining room but is it really worth having a big house with a room you only use two times a year? Also, it’s time to be realistic about your work-out equipment. If you have a huge treadmill that gets more of a workout as a clothes hanger than an exercise machine do you really need to space to keep it in? These hard working crews are every bit as able as a solid team of professional movers. The difference is that they’ll be taking your stuff to its final resting place as opposed to your new home! Getting rid of the clutter in your life can be a truly liberating experience even if you’re not moving. In other words, downsizing applies even if it simply means to downsize all the junk you’re hanging onto. This entry was posted in Home Downsizing, Junk King San Antonio, Large Trash Pickup, San Antonio Appliance Disposal, san antonio hauling, San Antonio Junk Pickup, San Antonio Junk Recycling and tagged Home Downsizing San Antonio, Junk King San Antonio, junk removal san antonio, TX Hauling on May 31, 2012 by Mike Hasselbalch. Last updated August 2, 2017 .